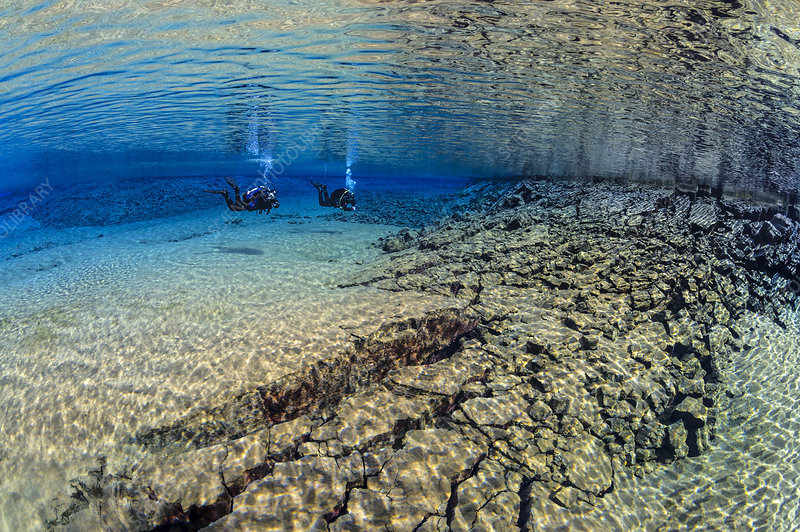 Pair of divers swimming in the blue lagoon at Silfraa, with fractured rocks in the foreground. Thingvellir National Park, Iceland. May 2011.